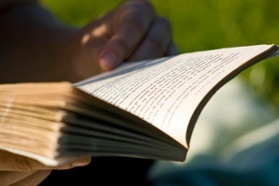 Mastering reading comprehension is a key component of preparing for the ACT and SAT. After all, a student cannot be successful on these tests without a clear understanding of what each question asks, the nuances of each reading passage, and what a writing prompt outlines. Fully grasping the meaning of what you’re reading involves many layers. Julie Mueller, one of our A+ tutors, helps students with ACT and SAT prep, as well as subjects ranging from algebra to literature. She suggests students focus on three helpful strategies. The first step is identifying where the issue lies in unpacking and evaluating the information. “My goal as a tutor is not only to help teach the student how to read better, but also to help the student self-identify what the particular issue is,” Julie explains. For example, if a student doesn’t know a word in a reading passage but gets directed back to it, he should look for context because often there is a set-up sentence or an explanation sentence that follows. •write brief, meaningful notes in the margins about tone, setting, transitions, and key people, events, or characters. Annotating in this way not only aids comprehension, but can also be a timesaver when searching for evidence in the passage to answer a question. Julie adds that the sooner the specific problem is identified and corrected, the better. Otherwise, these reading issues will continue into college. There are students who need to physically see written words to comprehend the information – visual learners who digest the information by reading with their eyes. However, in sharp contrast, many students actually benefit most from speaking the information aloud to process it. She adds that practicing subvocalization techniques and reading content aloud, even if it’s very quietly to oneself, has proven to be very beneficial for students struggling with reading comprehension. Choosing an article that is fairly dense, such as one from The New York Times, and analyzing it one chunk at a time, is another helpful tip. Try stepping into a complex article and assessing it piece by piece, one sentence and paragraph at a time. “Identify statements of purpose, verb tenses, the flow of the author’s argument – breaking it up and dissecting it is usually easier than looking at it as one large intimidating text,” Julie explains. Practicing splicing a large text into smaller bits will become an automatic process with repeated practice. No matter a student’s reading level, it’s never too early (or late) to implement reading comprehension strategies. If you have a question about how one of our Philadelphia-area tutoring programs can help your student, please contact us at 215-886-9188. 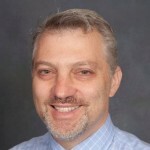 Daniel Ascher, M.Ed., President of A+ Test Prep and Tutoring, and CEO of iCollaborateonline.com, has been a professional educator since 1988. In 1992 he started A+ out of his home. Today A+ has 65 tutors who work out of two office locations and at students' homes and schools throughout the Philadelphia area. 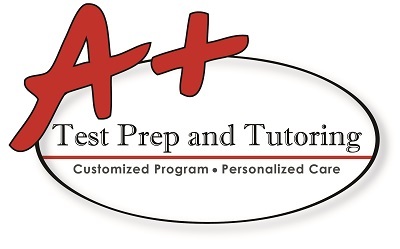 A+ specializes is one-to-one instruction for SAT and ACT test preparation. 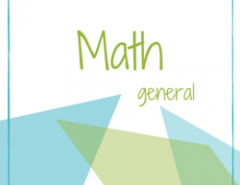 In addition they provide academic coaching and instruction in all school subjects. A+ serves about 600 one-to-one clients per year and runs test preparation courses at schools and community organizations throughout the Philadelphia area. In 2012, Dan combined his interest in one-to-one instruction with his love of technology by starting iCollaborateonline.com, a customized virtual meeting, virtual classroom, and online video collaboration space for professionals and educators. Previous Article Do You Need To Pay For Tutoring CRM?